I hope everyone had a wonderful Thanksgiving. I just can't believe that Christmas is almost here. I hope you enjoy the Christmas certificates, cards, stationery, card list form...that I have made available for you. I will be adding more to these before Christmas so keep checking back. I have a Christmas Special for Shepherdbase (Church Membership Database) of $29.99 through this month of December. You can click here or see below for more information regarding Shepherdbase. I'm hoping by the new year everyone will have an easier and more convenient way to track church members and their contributions. 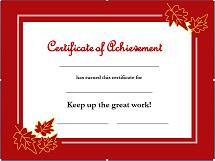 Brighten up the Christmas holiday with a beautiful Christmas Award Certificate to give to your Sunday School class or your children at home. The Christmas Gift Certificates are a wonderful Christmas gift also and all you have to do is download and print them. Click here to get to the Christmas Certificates. I don't know about you but it wouldn't be Christmas without the famous Puppy Chow Recipe. This is an original Puppy Chow recipe that the kids love. It's a tasty sweet snack that's super easy to make! Combine peanut butter, butter and chocolate chips in a microwave-safe bowl. Microwave for one minute then stir to blend all ingredients thoroughly. Add 1/2 teaspoon of vanilla, stir well. Place the 9 cups of Crispix cereal in a very large bowl. Coat with powdered sugar, sprinkling evenly over the cereal and tossing as you sprinkle to cover each piece well. Shepherdbase has a Christmas Special Price of only $29.99 through end of December and you will receive 2 Offering Envelope Templates free as a Bonus! Hurry and Enjoy these Savings - Merry Christmas! You can easily contact me through the my email: terressa@freechurchforms.com. I will get back promptly with any questions you might have. God Bless You & Merry Christmas!